Sen. Joe Manchin said Friday he would vote yes for Kavanaugh's nomination. 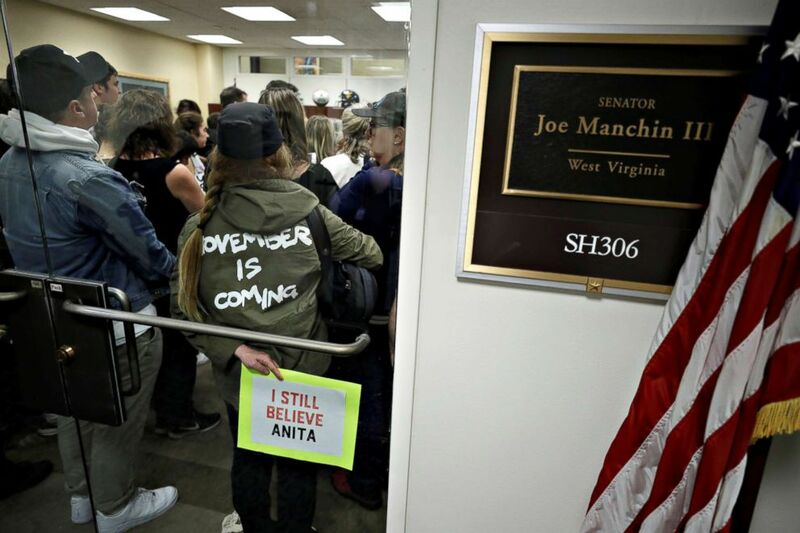 (Yuri Gripas/Reuters) Demonstrators gather in the office of Sen. Joe Manchin (D-WV) following a procedural vote in the Senate on the confirmation of U.S. Supreme Court nominee Judge Brett Kavanaugh on Capitol Hill in Washington, Oct. 5, 2018. Manchin voted to yes to move to a final vote on Kavanaugh's nomination. 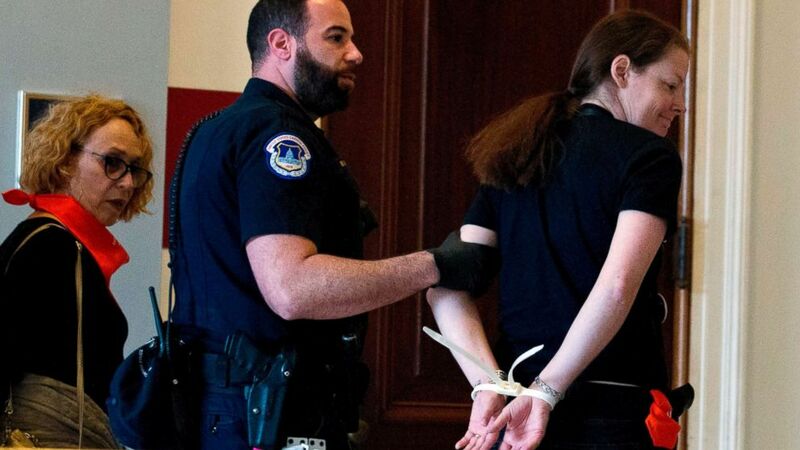 (Jose Luis Magana/AFP/Getty Images) Protesters against US Supreme Court nominee Brett Kavanaugh are arrested after blocking the office of Senator Jeff Flake, Republican of Arizona, in Washington on Oct. 5, 2018. 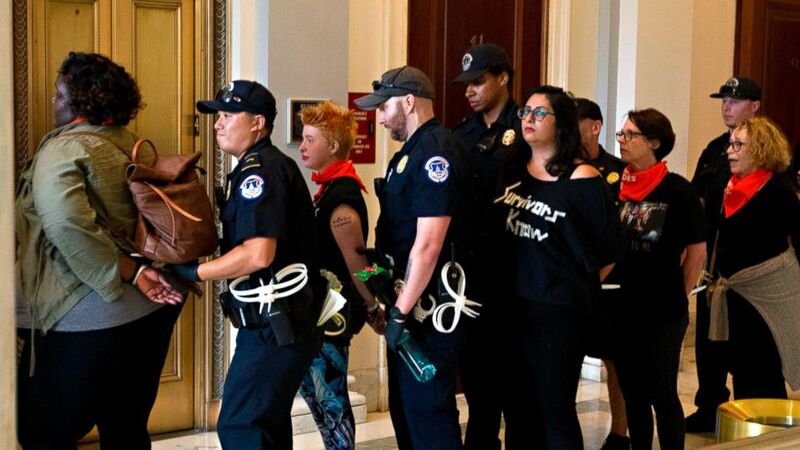 (Jose Luis Magana/AFP/Getty Images) Protesters against Supreme Court nominee Brett Kavanaugh are arrested after blocking the office of Sen. Jeff Flakes, Republican of Arizona, in Washington on Oct. 5, 2018. With a 51-49 vote the U.S. Senate moved to a final vote on President Donald Trump's embattled Supreme Court pick amid continuing controversy over sexual abuse allegations against him.